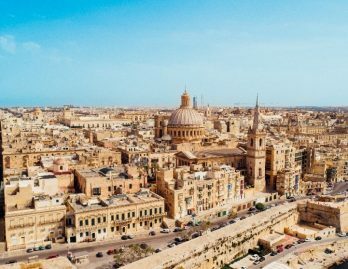 If you seek luxury in your short break, you’ll be spoilt for choice in Valletta. The city has an array of stunning boutique hotels offering 6-30 rooms, all with their own quirky personality. Valletta’s a foodie destination too – sit back, relax and take in the waterfront views in some of the many outdoor restaurants. There’s an abundance of chic wine bars to try out too, especially within Valletta’s walls – our favourite is Bridge Bar which has the best jazz music in the city and a great selection of Maltese wine. After dinner, visit Bridge Bar for an unforgettable night for an enjoyable evening with live jazz music and an incredible range of Maltese wines. There’s plenty of other pubs and bars to try too – visit East Street and Straight Street and you’ll be spoilt for choice!